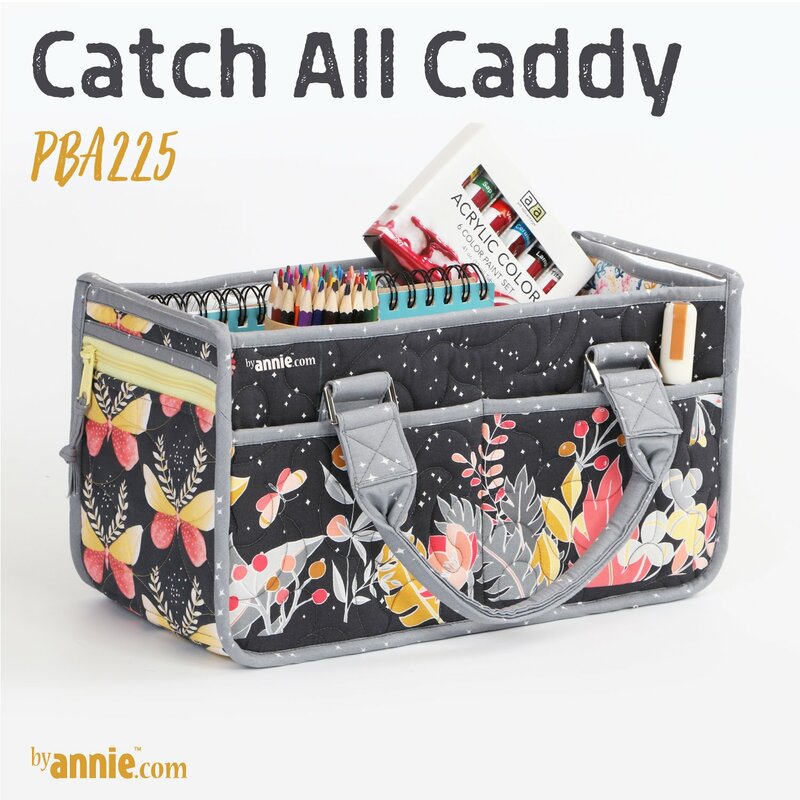 This over-sized, sturdy caddy has lots of easy to access slip pockets and dividers to hold and organize all your supplies. You’ll be thrilled to learn how to make bellowed inner dividers. Their ingenious design allows the interior fabric dividers to be fully expandable yet to also be able to fall flat against the caddy when not in use. This project also introduces a new style of handles which are padded with Soft and Stable and attached to the caddy using rectangle rings. You will test your binding skills as you sew the binding on the bulky bottoms and curved edges and make the "grab" handles on the end. But you're an expert, so it's no problem! Congrats on mastering these skills!